CIAMS is an expansive and inclusive project. We are excited to train the next generation of scholars and practitioners in Archaeology and its peer disciplines, from Art History and Museum Studies to Anthropology, Landscape Architecture, and historical disciplines (such as Classics and Near Eastern Studies), which all share a common interest in the human experience as shaped and informed through the material world. Congratulations are in order for CIAMS student Amy Cromartie (Anthropology PhD), who recently received an NSF Graduate Research Fellowship Program fellowship. 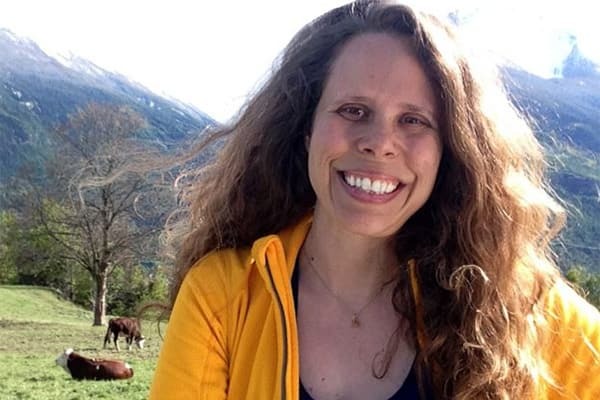 This is an early graduate career fellowship to support her dissertation research on how humans modify their agriculture strategies in the face of climate variation in mountain regions. Amy’s research focuses on the Bronze and Iron Age communities living around Mount Aragats in Armenia. She is a team member of CIAMS’s Project ArAGATS. Kudos to Amy on her achievement! Click here to explore profiles of our current CIAMS graduate students. Students in the Ceramic Analysis for Archaeology class spend most Friday mornings discussing matters of archaeological theory and method while poring over shards of ancient pottey, but they also visited the The Clay School in Ithaca to make some pottery of their own. Click here to read more about Professor Lori Khatchadourian's class, or click here to browse our current course offerings.